"Commercial airline passengers shouldn't continue to subsidize corporate jets," said aviation subcommittee Chairman John D. Rockefeller (D-W.Va.) during a Senate Finance Committee hearing. "If we don't restore equity, then as chairman of this aviation subcommittee, I will address the equity issue by looking for ways to limit general aviation access to congested airspace." And in making his position crystal clear that there would be severe penalties if their FAA funding bill (S.1300) is changed or disapproved, Sen. Trent Lott (R-Miss.) said, "We're going to have a fair bill or no bill, and I'm prepared to go to the mat." In supporting their failed President to the bitter end of his failed second term, neither Rockefeller nor Lott mentioned that S.1300 would eliminate the fuel tax the airlines currently pay. To these Bush cronies, any tax break for Big Anything is a good tax break. Sen. Pat Roberts (R-Kan.) noted that, "We've had preferential tax treatment for the airlines, particularly in pensions." And Sen. Jeff Bingaman (D-N.M.) questioned that with all that the FAA was trying to accomplish, "why would you eliminate the fuel tax on the airlines?" He noted that the ATC user fee would likely discourage flights to smaller communities. "We [the FAA] don't feel starved for funds," said FAA Administrator Marion Blakey in response to a question from Sen. Charles Schumer (D-N.Y.). Peter R. Orszag, CBO Director, said that with a forecast 7 percent annual growth in aviation tax revenues, the trust fund would bring in some $158 billion over the next 10 years, versus an inflation-adjusted FAA budget baseline of $135 billion. Gee, Marion, let me help you out on this. Even with my limited math skills, I know that $158 bilion is more than $135 billion!!! This is precisely the kind of government shell game we get when the lamest duck and his buddies try to bamboozle the citizenry when they think we aren't watching. They think we pilots are busy watching them fumble the ball on Iraq, on immigration, on health care, on the environment and on Katrina, but they would be way wrong in that. To GA and most professional pilots, Job No. 1 is beating the user fee fiasco they are trying to shove down our throats. The funding authority for the FAA and the government's ability to collect aviation taxes will expire in about 80 days. If an FAA funding bill (called a "reauthorization bill") is not approved before then, the FAA could be forced to stop operations. 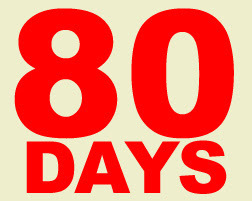 Eighty days. Now, my friends is not the time to blink. This needs to be top of the mind all day, every day to anyone with a pilot's license, anyone who wants to start taking flying lessons, or anyone who manufactures or sells anything pilots use. Remember, AOPA had endorsed H.R.2881, the House FAA funding bill. Memorize that last sentence, and tell your pilot friends to tell their pilot friends. Senate bill, bad, House bill good.